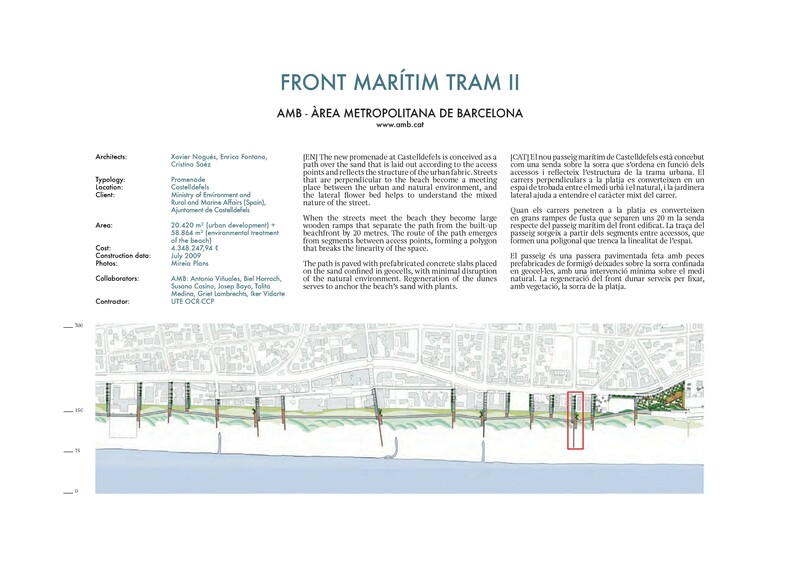 The new promenade at Castelldefels is conceived as a path over the sand that is laid out according to the access points and reflects the structure of the urban fabric. Streets that are perpendicular to the beach become a meeting place between the urban and natural environment, and the lateral flower bed helps to understand the mixed nature of the street. When the streets meet the beach they become large wooden ramps that separate the path from the built-up beachfront by 20 metres. The route of the path emerges from segments between access points, forming a polygon that breaks the linearity of the space. 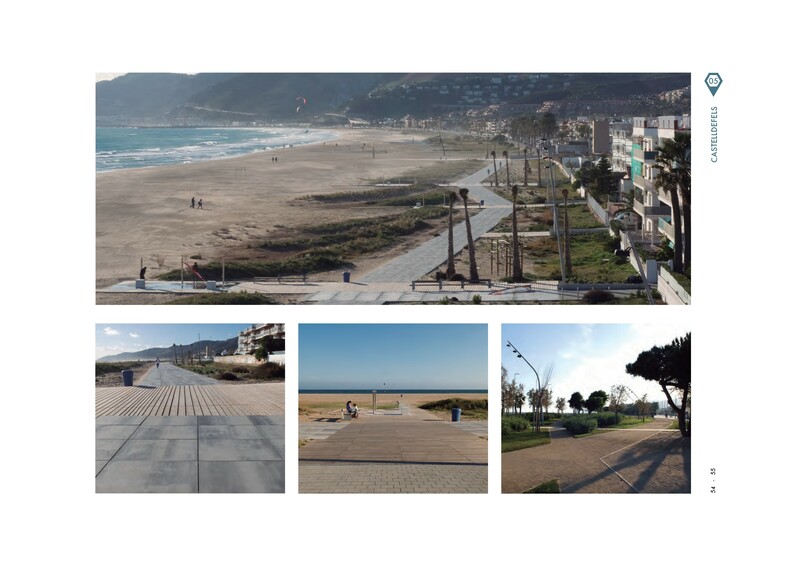 The path is paved with prefabricated concrete slabs placed on the sand confined in geocells, with minimal disruption of the natural environment. Regeneration of the dunes serves to anchor the beach’s sand with plants.